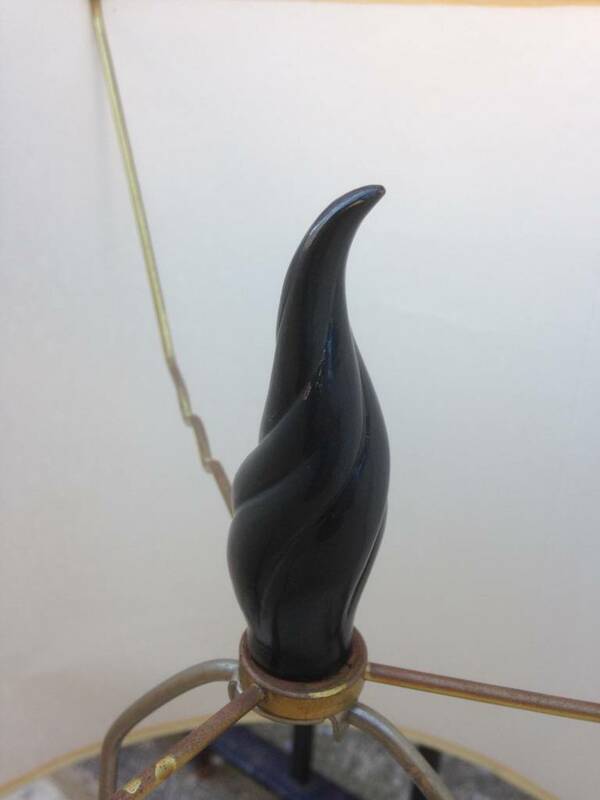 Black ceramic base encased in a solid bronze organic form. Rewired with US socket. 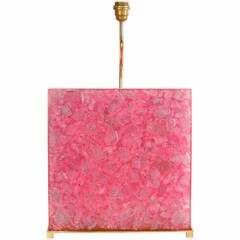 Beautiful and elegant table lamps with rose terracotta fleurs and glass and terracotta pedestal. Matching terracotta finials. 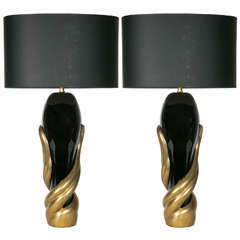 Fantastic pair of lamps in black opaline and bronze, circa 1980s. Dimensions given without shade. Shades are not provided. 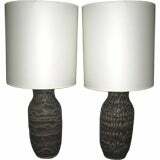 Rare huge pair of lamps Stone and brass. 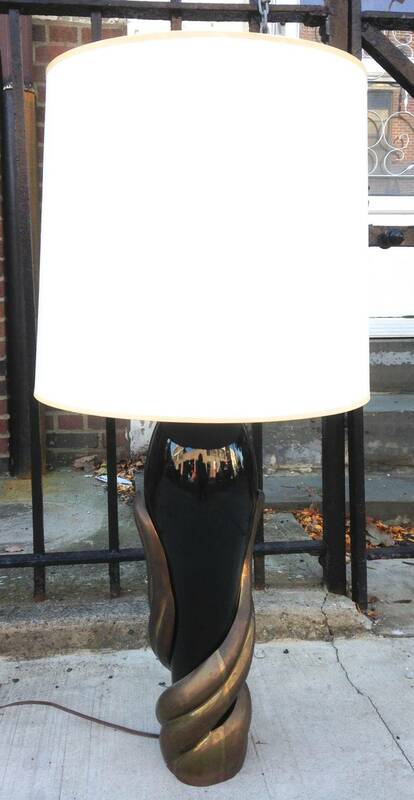 Incredible lamp with crushed ice resin. Signed and numbered. 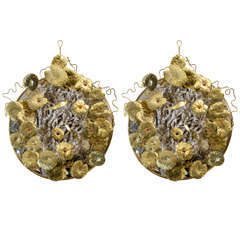 Possibility of a pair. 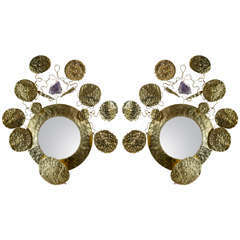 Pair of sconces in brass with amethyst with mirror. 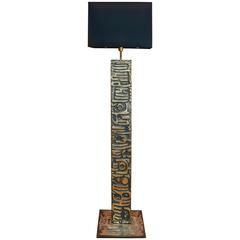 Abstract bronze floor lamp designed by Enzo Missoni. From a very small edition of less than ten pieces. Shade is not provided. Dimensions given without shade. 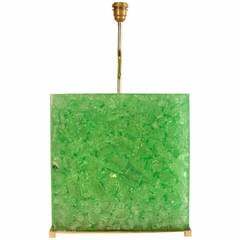 Huge table lamp in crushed ice resin. Possibility of a second one. 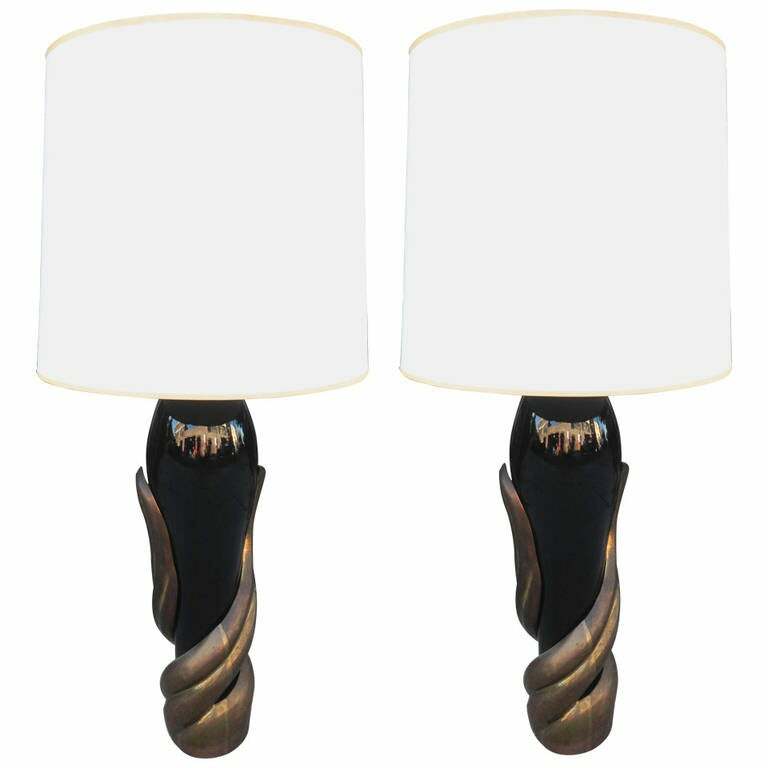 Pair of 1970s sconces with brass shade. 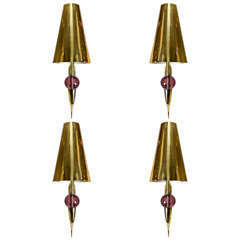 Brass &Murano glass Possibility of three pairs. Price is for one pair.